A record 38 current University of Notre Dame students and alumni have been awarded grants by the Fulbright U.S. Student Program to study abroad in 2017-18, topping last year’s record of 30 finalists. Six alternates and seven semifinalists were also named, for a total of 51 students and alumni recognized. The number of students and alumni recognized this year improves upon last year’s University record of 48. Kiley Adams, Edgewood, Washington; biological sciences, Class of 2017 — study and research grant to India. Haley Adams, Midland, Michigan; biological sciences and anthropology, Class of 2017 — English teaching assistantship to Poland. David Arney, Strongsville, Ohio; finance and applied and computational mathematics and statistics, Class of 2017 — English teaching assistantship to Poland. Daniel Barabasi, Newton, Massachusetts; physics, Class of 2017 — study and research grant to Hungary. Connor Bliss, Glenn Dale, Maryland; physics and history, Class of 2017 — English teaching assistantship to Spain. Salvatore Curasi, North Bellmore, New York; biological sciences graduate student — study and research grant to Russia. Jenna Davidson, St. Charles, Missouri; biological sciences graduate student — study and research grant to Indonesia. Leslie MacColman, Canby, Oregon; peace studies and sociology graduate student — study and research grant to Argentina. Emily Maiden; Burlington, Kentucky; peace studies, political science and theology graduate student — study and research grant to Malawi. Patrick Manion, South Bend, Indiana; Alliance for Catholic Education, Class of 2017 — English teaching assistantship to Czech Republic. Todd Marek, West Lafayette, Indiana; anthropology and theology graduate student — study and research grant to China. Matthew O’Neill, Greensboro, North Carolina; biochemistry, Class of 2017 — study and research grant to Germany. Peter Stankiewicz, Deptford, New Jersey; biochemistry and Russian, Class of 2017 — English teaching assistantship to Russia. Robert Sylvester, Upton, Massachusetts; Alliance for Catholic Education, Class of 2017 — English teaching assistantship to Taiwan. Hansel Weihs, Montebello, California; aerospace engineering and Japanese, Class of 2017 — English teaching assistantship to South Korea. Since its inception in 1946, the Fulbright Program has provided more than 360,000 participants — chosen for their academic merit and leadership potential — with the opportunity to exchange ideas and contribute to finding solutions to shared international concerns. 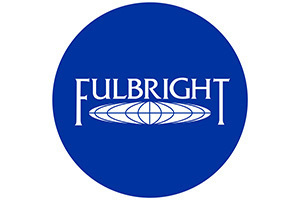 More than 1,900 U.S. students, artists and young professionals in more than 100 different fields of study are offered Fulbright Program grants to study, teach English and conduct research annually in over 140 countries throughout the world. Originally published by Brittany Collins Kaufman at news.nd.edu on May 24, 2017.